Our palapa’s framework is constructed from the highest grade of pressure treated lodge pole pine. The 6″ diameter center pole extends into 2″ diameter rafters and supports. The wood is rustic in nature which contributes to the authentic palapa look. The tops are handwoven in mainland Mexico. Our Palapa tops are a single pre-woven piece (two pieces included) which makes them extremely durable in windy conditions. 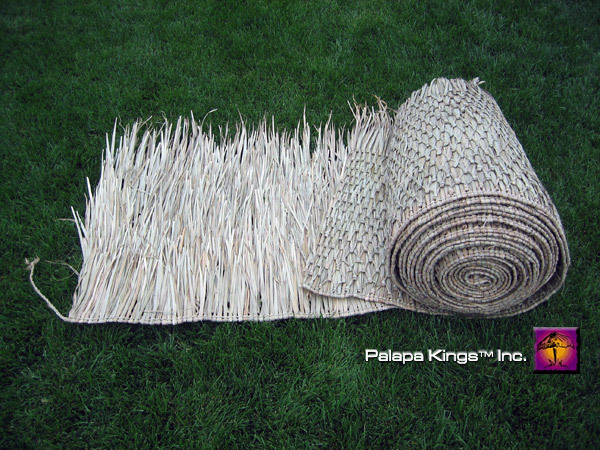 All single post palapa kits can be installed for $325.00 in Southern California.